Find the most current info on Verrado real estate here, and be sure to check out the Verrado home stats, market update, & AZ Central video below. The Verrado market has had steady new development from Toll Brothers, Meritage and K. Hovnanian, and the resale market prices continue up. Located in Buckeye, AZ, Verrado is a master planned community that appeals to the golf enthusiast and those who love the outdoors. The rec center, local parks and pools are great local amenities for home buyers. Thank you for visiting our web page today on Verrado homes for sale. Here you will uncover the most current city houses for sale listed on the MLS in the 85396 zip code. To fine-tune your home search, click on the tab below to change home price parameters or bedrooms and baths. You can also refine the properties criteria by listing date or property status. This will give you the newest listings to come on the market in area. If you have any concerns, please feel free to give us a call or fill out the contact form at the bottom of the page. Our local Verrado Realtors would be happy to facilitate in any way they can. We are here to help and make every effort to earn our customers trust by bringing local insights and value. Sign Up for a FREE Verrado Home Listing Monitoring account. It is quick, simple, and gives you one-of-a-kind access to new MLS properties listed for sale in Buckeye AZ. You can save your preferred houses and customize your own real estate searches. You'll be in the know, just like a professional Realtor. Be sure to try out our "Smart Search" technology today! What's My Home Worth In Today's Verrado Real Estate Housing Market? Whether you are looking at selling your residence in Verrado or just want to discover what your property might be really worth, check out our "Selling Your Property" tool below. This solution will enable you to effortlessly see what homes are selling for in your community, but also let you see closed property prices as well. The easy to use program lets you see average selling price, days on market and much more. Give it a try now and let us know if you would like a professional market value review on your house by one of our neighborhood Verrado real estate specialists. Check out the video below to learn more about this great community. If you have any questions, we have local Realtors, who live and work in the community, who are available to answer any questions about the real estate market, community events, amenities, and any questions you might have on the new active adult community called Victory. Check out the video below. Be sure to check out the community news, community events and the design and community standards by using the links in the drop down menu to the left. These links will take directly to the community pages about those specific items. For information on schools in Verrado, click the image below to see all schools in the Verrado area. Be sure to click on the school name and use the drop down menu to see the school profile, student teacher ratios, test scores and more. In addition, click on the community tab to see valuable information about the Verrado community. Ever Think "Why Do I Even Need A Realtor When Purchasing?" Have you ever thought maybe you don't need a Local Verrado Realtor? Many people are now relying on the world wide web to start their property search and don't necessarily engage a local area real estate broker until they are ready to draft a contract. Many home buyers think that they can maybe save some money by working with the seller's agent and not involve a broker of their own. This is really not a good way to approach shopping for one of the largest and most pricy assets you'll own. First off, our Agents are totally familiar with the locations in which they work and can be a great source when it comes to what the housing marketplace is doing, as well as what's going on with the neighborhood and schools. Secondly, you ought to have your own representation in a transaction. Writing the agreement is the easy part. What happens if there are problems on the inspection that requires more rigorous negotiations, or if they are issues with the home loan requiring an extension of the closing date. 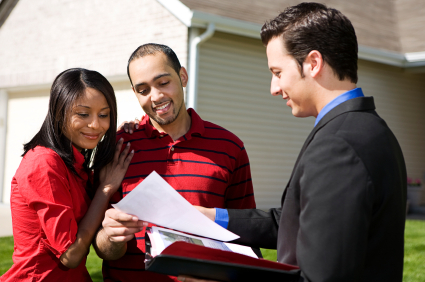 There are many moving parts in a real estate transaction, and having someone who represents only your interests is a must. Our team puts our clients needs and interests first, and can be that champion you need in a difficult transaction. Be sure to call us today and get connected with one of our local Agent team members. How Much Can I SAVE In Real Estate Fees Selling My Home? If you are looking to selling in Verrado, be sure to contact us about our home selling advantage or check out our home seller technology and service HERE. Let us know what type of home you are looking for in the area, and one of our local Verrado Realtors will be glad to answer and questions, give you a comparative home value analysis and show you any MLS property listing of interest. Contact our local team today!